1159LF-AR is rated 4.8 out of 5 by 5. 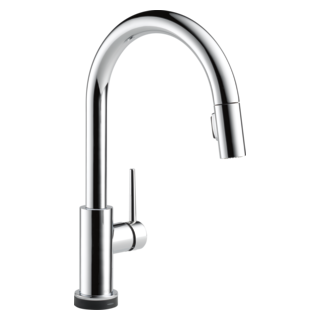 Rated 5 out of 5 by Don from Perfect kitchen faucet I love this faucet so much, I've installed it in both of our residences. It's tall, swings 360 degrees, with a long rigid spout. 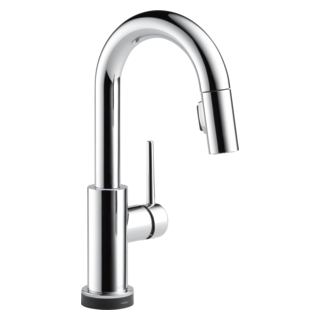 It makes the extension flex hose-type faucets unnecessary, because with its height and reach, anything fits under it. Furthermore, with a single large sink, because of the height, you can hand wash and then rinse even very large frying pans above the wash water. Very practical and attractive design. Heavy solid construction. Rated 4 out of 5 by Sarita from Good Choice ! Compliments a deep sink in my art room for bucket filling & cleaning larger objects. Well made. Rated 5 out of 5 by honolulucontractor from Very Happy We purchased this faucet for a client who wanted sleek modern styling with old fashioned virtues; sturdy construction, quality chrome, no plastic pieces to break, and good value. This fit the bill and the client was very pleased. 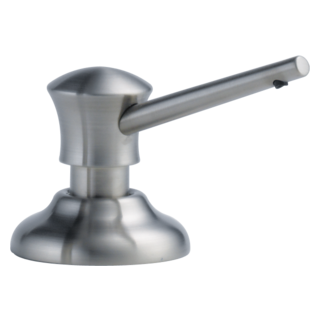 Rated 5 out of 5 by DCMax from Modern looks and classic simplicity. We did not want all the complexity and clutter of the pull out hose. 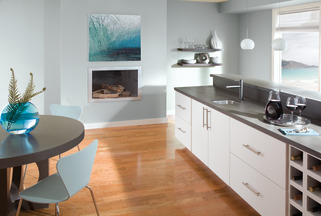 The finish is very nice and complements our stainless appliances. The crisp edges give it a very high end contemporary look. 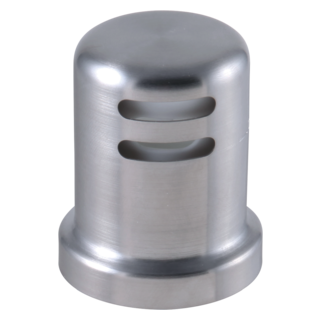 The replaceable cartidge inside may be plastic but everything visible is nice solid stainless steel, not chromed plastic. does this faucet have a 2 spray pattern spray head? 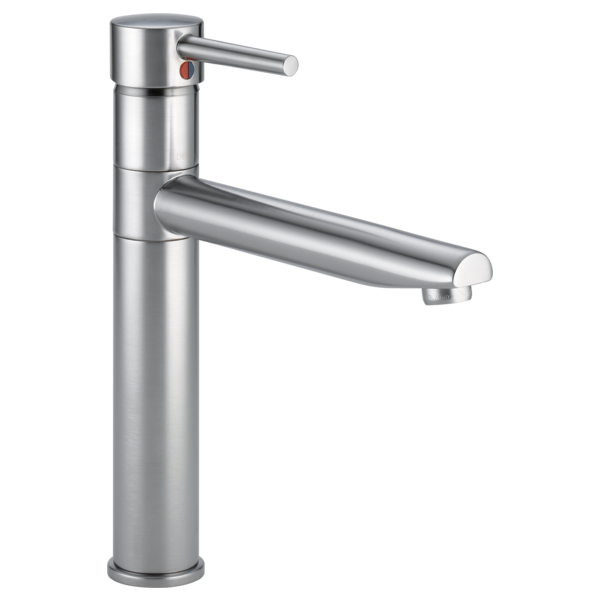 what style of soap dispenser is best to use with this faucet? 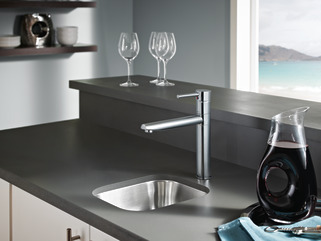 Can you attach a Pur brand water filter to this faucet? 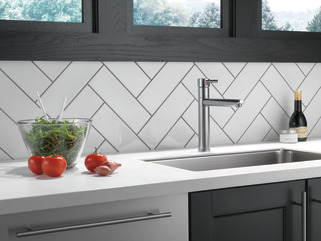 Will this faucet work with a portable dishwasher? I just bought a Maytag, Jetclean plus. Thank you for your question. 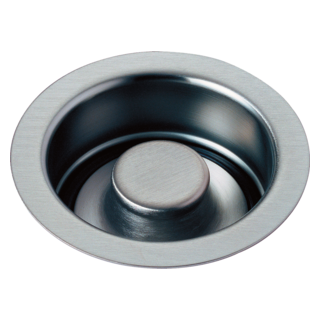 Delta Faucet model # 1159LF has a 15/16 aerator. 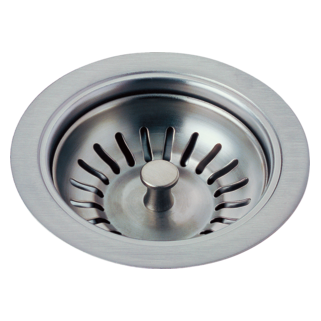 We do manufacture a swivel aerator that will fit this model. The model number is RP63137. Can I use this for just a cold water filter line ?